Chapter 13 bankruptcy is one of your best options in dealing with overdue debts. The main purpose of a Chapter 13 bankruptcy is to provide a route for a debtor who does not qualify for Chapter 7 bankruptcy due to income level being above the median income necessary for Chapter 7 bankruptcy. When Chapter 7 is not an option because of high income, Chapter 13 can be used to relieve you from collection activities. Also, if you have filed a Chapter 7 bankruptcy within the past 8 years, a Chapter 7 is no longer an option according to bankruptcy code. Chapter 13 is still available to relieve your debts after 4 years of filing Chapter 7 bankruptcy. Chapter 13 bankruptcy is much different than a Chapter 7 in that it involves a repayment plan that is confirmed by the courts to help deal with your debts and allow you to keep your assets that you own. Assets that are at risk of collections activities like foreclosures or repossessions can be saved when debt is restructured with a Chapter 13 repayment plan. Bankruptcy Law Professionals has helped many clients to stop foreclosures, repossessions, wage garnishments, and many other collections activities by helping clients file Chapter 13 and confirming a Chapter 13 payment plan with the bankruptcy court for our clients. 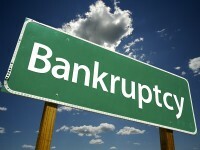 How Can Bankruptcy Law Professionals Help? A Chapter 13 bankruptcy is not just about getting your petition filed. Chapter 13 involves up to a 5 year payment plan with the bankruptcy trustee. Bankruptcy Law Professionals can help you see through this full plan to make sure that your debts are taken care of through the process. A mismanaged Chapter 13 can only lead to more problems or unresolved debt.